Dynamic! That’s the word best used to describe the city and the church. Christ Temple is an exciting church with lively worship along with anointed singing and preaching located in Phoenix, Arizona. It is known as the Valley of the Sun and ranks as one of the fastest growing cities in the nation. Because of the beautiful weather, you can enjoy most activities year round. Adding to the already high temperatures in Phoenix are the revival fires burning at Christ Temple — a church on fire. Christ Temple is a powerful church built on a solid foundation of prayer and fasting, outreach and discipleship. It is a warm and friendly church that serves the Phoenix/Glendale communities. “It is our desire to share the gospel of Jesus with our community, to see lives changed and for people to have a meaningful, personal relationship with Jesus Christ,” said Pastor Gary Hogan. 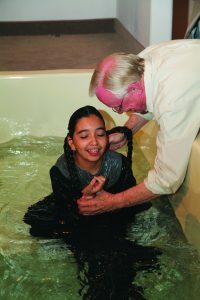 After years of steady growth, many members of the church now know how it feels to pull the lost from a more eternal kind of fire, and the excitement is evident in their weekly services. 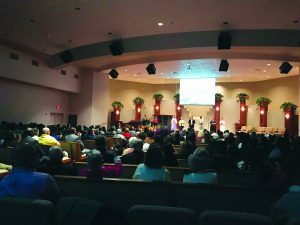 The church hosts four main events annually: Friends Day, the Easter program, a Back-to-School service, and a Christmas program. For each event, all departments are encouraged to focus on an area in which to participate for outreach purposes. The church holds an annual leadership retreat that all leaders attend for the purpose of training and motivation. It is not a planning session. The retreat takes place at an out-of-town hotel, and an outside speaker is generally brought in. “Building motivated leaders has long been a strong point of the ministry of this church,” Pastor Hogan said. Training is recommended for all departments. From time to time, directors may visit an out-of-state revival church for observation purposes. Also several directors attend conferences and workshops. There is an in-house children’s ministry training, and the staff attends district children’s ministry annual training. Pastor Hogan usually meets weekly with the outreach director and monthly or semi-monthly with the other department directors. Christ Temple has two planning sessions each year prior to the beginning of a new year. Department leaders attend to put the dates for their events on the calendar. “It is important to be a finisher and not have leaders start projects that they cannot follow through with,” the pastor said. Another miracle witnessed by the church was when the grandmother of a drug baby was told that the baby could not be around bright lights or loud sounds. After the baby was prayed for, all the effects of the drugs that had been in his system were gone. The boy now has no side effects from the drugs. 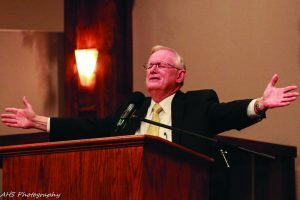 “When God heals, it leaves an impact on so many people,” Pastor Hogan said. Another woman in the church asked fellow saints to pray for a co-worker whose muscles were deteriorating. Eventually, she was bedridden, admitted to a hospital and the family was told she would not live. The church prayed, and this woman was healed and came to church to testify of her healing. On October 18, 1969, a few months following his graduation, he married Elaine Engquist, whom he had met at the Bible college. They have three children, five grandchildren, and a Shih Tzu, Benji, that they have raised since the dog was three days old. 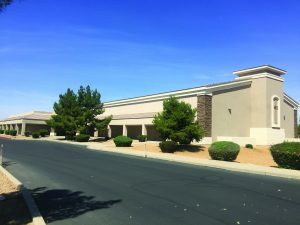 After evangelizing in Oregon home mission churches the summer of 1973, the family relocated to Chandler, Arizona. 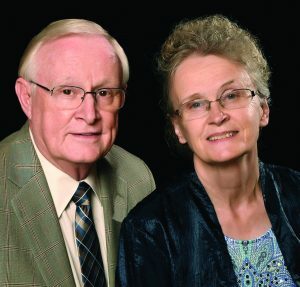 They also assisted churches in Chandler and Mesa until he and his wife established Christ Temple in June 1976. 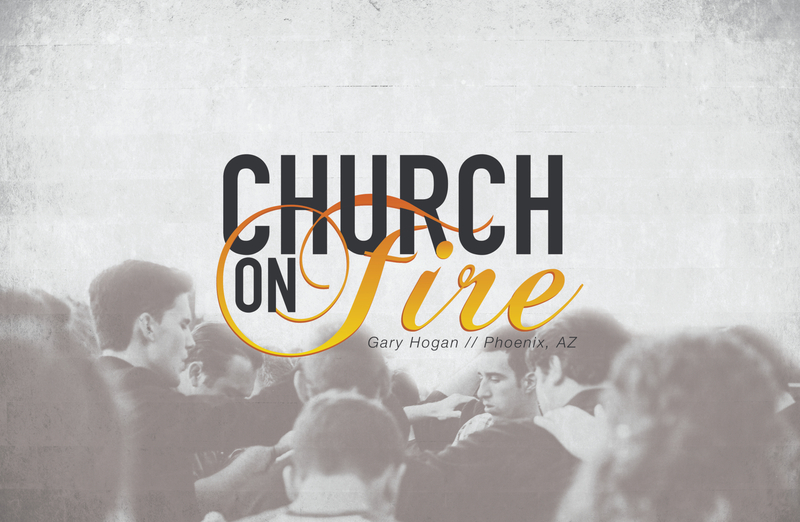 Pastor Hogan has served the Arizona district in various capacities for over 27 years. He is currently the superintendent, serving on the general board of the United Pentecostal Church International. Before he became superintendent 12 years ago, he served as district editor, district Sunday school director and district secretary. He also served on the Budget Committee of the UPCI. On May 30, 1976, the first church service of Faith Tabernacle, as the assembly was known at the time, was held. There were eight people in attendance. Besides the small chapel building, there were three additional buildings on the property. In 1980, the church moved to a larger building three miles from the original location. The church was allowed to assume payments on the property with the stipulation that the church would change its name to Christ Temple. The church now has a 200-seat sanctuary, Sunday school classrooms and its own baptistery. During the next few months, with much prayer, fasting and a surge of faith, the small congregation began to experience revival. Between the months of June and December 1981, 52 people received the Holy Ghost. “Many altar services had more people seeking the Holy Ghost than there were Holy Ghost-filled people to pray with them,” Pastor Hogan said. This revival continued for the next three years, bringing the average church attendance to more than 150. By 1988, the building was full, and it was time to look for more space. A 4.8-acre ranch was located as prospective church property, but another miracle was needed. “Banks did not want to make loans to churches at that time, and financing was unavailable,” said Pastor Hogan. “The Lord, as He has always done, moved on the owner to carry the loan, accepting the church savings as a down payment.” Within 3½ years, the property was paid in full, and in 1999, the members of Christ Temple began building the first phase of the current complex. After 14 months of hard work and sacrifice, the building was ready for the first service in April 2001. In January 2009, work began on the new sanctuary to seat 500. The opening service was in September of that same year. 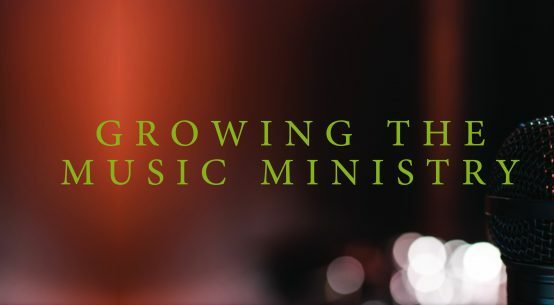 With a focus on reaching the community, Christ Temple has continued with growth as a revival church.